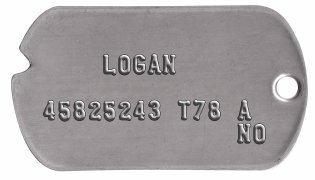 Before becoming Wolverine and getting his new Weapon-X tags, Logan wore the traditional notched style dogtags. 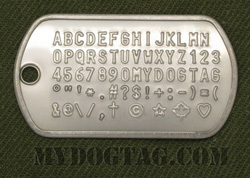 It is a matter of discussion as to what the name on these dogtags are and you can customize to however you want.The "T78 A" designation probably indicates tetanus shot year and blood type. 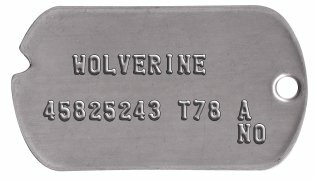 Customize to Buy your Wolverine Classic Dog Tag Set now! All orders are shipped within 1 business day and are usually delivered within 1 week (in North America). 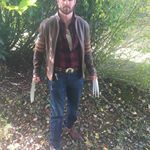 If you need any assistance creating or ordering your Wolverine Classic Dog Tag Set please contact us directly, we are here to help!